On the fourth episode of the Hockey Writers Podcast, we bring in two respected Hockey Writers contributors in Stephen Ground and Greg Boysen and discussed the top five stories of 2018 in the NHL. We all know that the Washington Capitals won the Stanley Cup and Ovechkin erased all doubts he couldn’t win the big one. But, was that the top story of the 2018 season and calendar year? Where did the discussion on the Toronto Maple Leafs and John Tavares or William Nylander rank? Plus, we can’t forget the Cinderella story that was the Vegas Golden Knights expansion season. After a quick rundown of the possible storylines that ranked as the stories of 2018, we bring in Stephen and Greg to talk their favorite stories of 2018 that didn’t make our top five. How did they react to other headlines in the NHL? Was it Seattle getting the newest expansion franchise? Was it the struggles of their respective teams in St. Louis and Chicago? There were plenty of stories that could have made our top five. Should any of them be included? The Ottawa Senators took the fifth spot on our list. That included a new arena deal, trades, Erik Karlsson drama, fan reaction, a rebuild and more. Why Eugene Melnyk the disaster of the year in the NHL? What was the biggest story of 2018 in the NHL? Throughout the summer, all anyone could talk about was William Nylander and his impending deal with the Toronto Maple Leafs. Was it a good deal? Why did it take so long? Will he stay in Toronto long-term? Clearly, Nylander signing will make the Maple Leafs stronger but what happens moving forward when this season comes to an end? How will affect players like Kasperi Kapanen? 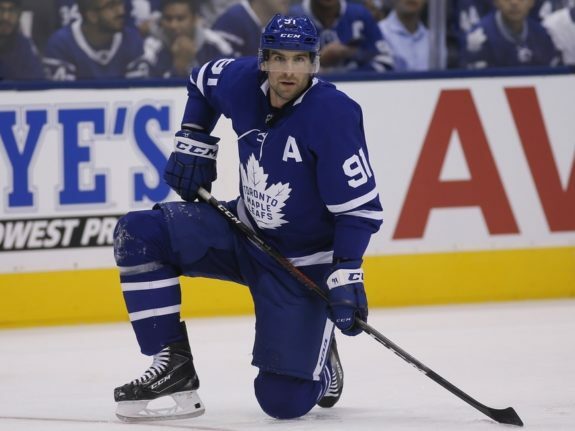 John Tavares was the other really big story out of Toronto. The Maple Leafs landed the biggest free agent on the market and shelled out $11 million per season at seven seasons. Was this the right move for the franchise? There’s an argument that Maple Leafs didn’t really need another high scoring center and certainly didn’t need to pay so much for him. There’s also an argument adding Tavares makes the Leafs one of the strongest teams in the NHL. It’s hard to overlook the Cinderella story that was the inaugural season for the Vegas Golden Knights. The most successful expansion in sports history, the Golden Knights made it all the way to the Stanley Cup Finals. They started winning early and kept winning. The team gelled like no other, players had career years and the organization set a new standard for expansion franchises moving forward. 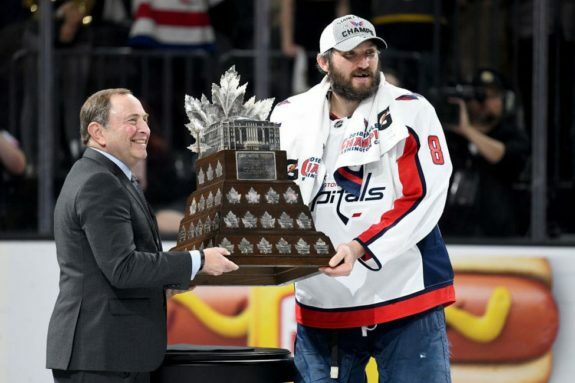 A clear top pick on our top-five, Stephen, Greg and Jim break down what it meant that the Washington Capitals won the Stanley Cup and what it meant for Ovechkin’s legacy. Also, we ask the question… now that the team has won the biggest prize, does Ovechkin’s legacy turn to one that involves individual accolades? Will he try to break the scoring record set by Wayne Gretzky? You can listen to any of our podcasts by clicking here. Or, go the Hockey Writers rumors page by clicking here.